Most parents will go to any length to ensure that their children are safe and well cared for. We teach our children how to safely cross the street, how to protect themselves from strangers, and how to take care of themselves physically by eating right, brushing their teeth, and taking other personal hygiene measures. We would never knowingly put our precious little ones in harm’s way. We strive to create an environment within our homes that is safe, healthy and happy. One thing that some of us sometimes overlook is the deep cleaning of our carpeting. Did you know that most vacuum cleaners, and for that matter most carpet cleaners, do not provide enough suction to even disturb the debris that settles deep in your carpet fibers? Dirt, bacteria dust mites, mold spores and other potential allergens get carried or blown into our homes every day on the bottoms of shoes and through open doors and windows. Because they get trapped in your carpet fibers, your dear little ones, who spend a great deal of their time playing and relaxing on the floor, are exposed to these pollutants on a constant daily basis. Your pets also suffer from a high exposure to this debris, and it actually affects the air quality for everyone in your home. Why not call OxiGreen in Warminster, PA today at 215-269-3331 and talk to us about our 100% green carpet cleaning, which is completely safe for your children and pets? All the cleaning agents used in our process come from the tea tree and are 100% biodegradable and non-toxic. We will never leave behind and chemical residue on your carpeting that could also affect the health of your family…and potentially damage your carpet fibers as well. 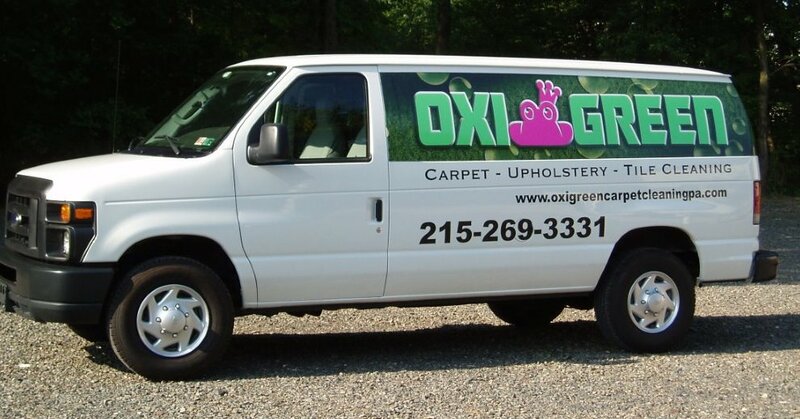 Call us today: OxiGreen in Warminster, PA, an outstanding pet and baby safe carpet cleaning company!